Possession with intent to deliver is often one of the most overcharged crimes on the books. Police officers know that there is a enormous difference between arresting someone form drug possession and arresting someone for drug possession with intent to distribute. These officers have the power to stretch the law to encompass possession with intent when in reality the only crime that may have occurred was a misdemeanor possession crime. In misdemeanor drug possession cases, a Maryland drug lawyer can often secure a diversion program or a probation before judgment offer for a first time offender. Drug possession cases are easier to expunge if certain conditions are met, and may have less of an impact on a person's criminal background. Simple drug possession cases are also handled in district court where the prosecutors often have less experience that circuit court lawyers. On the other hand, possession with intent to distribute is a felony than may carry much harsher plea offers and in some cases minimum mandatory jail sentences. The state laws on possession with intent to distribute are extremely vague, which can leave a police officer open to make his or her own decision about when the crime has taken place. The Maryland statute reads that possession with intent may be charged if a person is found in possession of a sufficient quantity of a drug to reasonably indicate under all circumstances an intent to distribute or dispense. There are no exact guidelines for this law as far as weight, packaging, and appearance of the drugs. The possession with intent to distribute law leaves defendants and criminal lawyers alike asking a variety of questions. For example, what does the word reasonable actually mean as it pertains to the possession with intent law? Unfortunately there is no real answer to this question, and often times it depends on the drug at issue. 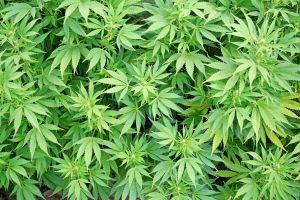 There have been possession of marijuana with intent to deliver cases where a defendant is arrested for having a few marijuana plants in his or her apartment. Growing marijuana carries a stigma that those who grow must be selling or distributing. In reality many recreational marijuana users in the state grow their own marijuana, so it is not reasonable to make that connection from grower to seller. A police officer may also assume that a marijuana user is dealing or distributing if he or she has a scale or baggies, but many recreational users also use scales to assure they are buying the right amount of marijuana. Recreational marijuana users may also package their marijuana in small baggies. An experienced Maryland marijuana lawyer will fight to have your possession of marijuana with intent to distribute case reduced to a misdemeanor possession case or even dismissed. There are also possession of cocaine with intent to deliver cases, and pill possession cases that should never be filed as a felony. Again police officers can observe a small digital scale and assume that a crack or cocaine user is dealing or distributing. In addition a cop can arrest a defendant with less than a trafficking amount of cocaine or another drug and assume that it is too much for personal consumption. If you or someone you know has been charged or is being investigated for possession with intent to distribute drugs, contact an experienced Maryland possession with intent lawyer today for a free consultation.